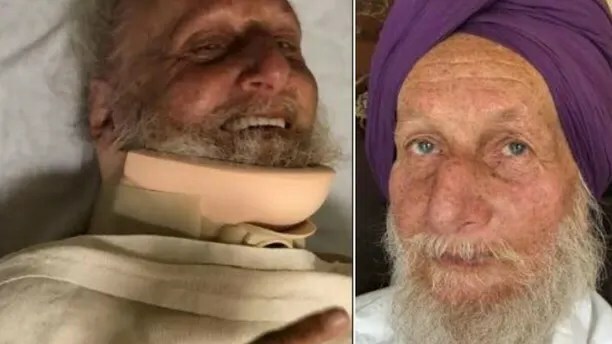 The 18-year-old son of a police chief in California’s Bay Area was arrested Wednesday in connection with an attack on a 71-year-old Sikh man who was out taking his daily stroll. The San Francisco Chronicle reported that Tyrone Keith McAllister, son of Union City police Chief Darryl McAllister, was booked on one count of attempted robbery, elder abuse and assault with a deadly weapon, the report said. Police said one of the two suspects seen in surveillance video may have waved a gun. Sahbit Singh Natt told police that he was walking in Manteca, near Stockton in the Central Valley, on Monday at about 6 a.m. and was asked by his assailants for money, the report said. Authorities said Tyrone McAllister and a 16-year-old confronted the man and kicked him to the ground. Police said the video shows the suspect kick him at least three times.Authorities are reportedly working to determine if the assault was a hate crime. The police chief said he and his wife worked with the Manteca Police Department to track down and arrest their son. He was arrested at around 10 a.m. Wednesday. The report said his son has been apparently estranged from the family.